SCOTTSDALE, AZ--(Marketwired - Nov 7, 2013) - Longtime Hard Dollar customer, Blois Construction, received the 2013 Constructech Vision Award, Silver, in the Heavy/Highway/General Construction category. Hard Dollar Corporation was recognized as the technology enabler for the award. This marks the third time the Oxnard, California-based utility contractor has won the award, and all three times Hard Dollar was cited as the technology enabler. The company also won the award in 2002 and 2008. "We are very proud to be associated with Blois Construction and are thrilled to see them recognized on a national stage for their achievements," said Hard Dollar's VP of Industry Solutions, Brad Barth. "Hard Dollar has a long and successful relationship with Blois and we are honored to be a part of their success." The Constructech Vision Awards acknowledge companies that have realized the advantages of applying modern technologies to their everyday businesses. In addition to honoring builders and contractors, Constructech magazine also recognizes the hardware and software suppliers that have enabled the construction company to achieve its goals. CEO and President of Blois Construction Jim Blois, said, "We are very honored to have been selected for another Constructech Vision award, along with our partner, Hard Dollar. 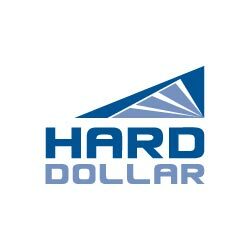 Partnering with Hard Dollar on the Vision Awards as well as with our daily challenges in bidding and building work allows us to keep improving and developing as a company." Hard Dollar also extends congratulations to all of the recipients of the 2013 Constructech Vision Awards and their Technology Enablers. Hard Dollar is the leading provider of project cost management (PCM) solutions. Founded in 1989, Hard Dollar delivers project cost management software worldwide within the infrastructure, mining, oil and gas, and power and process industries. Hard Dollar software helps manage cost estimating, budgets, changes, and forecasts throughout the entire project lifecycle.